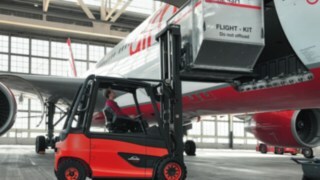 At the recycling company Novelis, Linde forklifts reliably deliver top performance. Dusty, hot air. Sounds like desert, but we are in Latchford, Warrington, UK. Beverage cans are recycled in the production hall of Novelis Inc., the world's largest recycling company. Just under 60 days ago, these were still ice-cooled, with sparkling contents in the refrigerated shelves of supermarkets and petrol stations. Here and now the cans literally melt away. 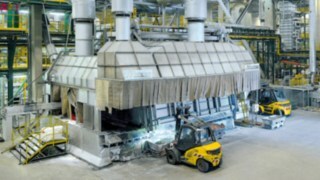 The furnaces are heated up to 750 degrees Celsius, into which they are tipped and then processed into aluminium ingots. 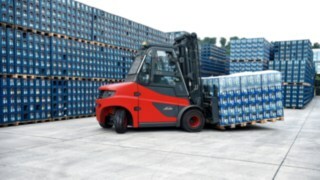 From this, new beverage cans or car bodies for the automotive industry are produced. Incidentally, the newly pressed beverage cans have the same properties as the original can, since aluminium can be recycled as often as required - without any loss of quality. During recycling, the cans are first sorted, then decoated, melted and finally cast. 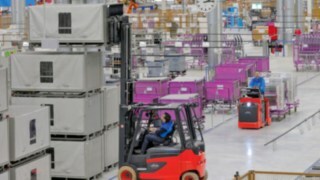 For many years now, Novelis employees have been supported by various Linde vehicles - 24/7,365 days a year, from E20 to HT160Ds. "The vehicles used here are exposed to a very hot environment as they are used in the immediate vicinity of the glowing furnaces. It is also very dusty in these areas. That's why we needed vehicles that could withstand this extreme environment," says logistics manager James McCoy. 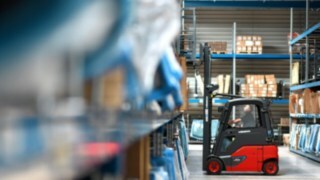 Linde was chosen not only because these trucks are in use around the clock in three-shift operation but also because there are challenging operating processes in this sensitive industry that have to be withstood. 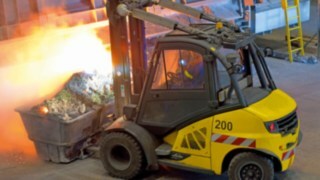 In order to meet all the specified safety criteria, Linde vehicles are equipped with the special foundry package. 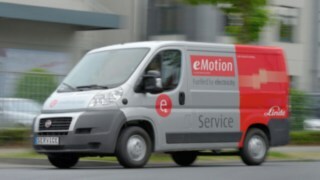 The vehicles also have a sensor and camera system that supports the work of the operator. 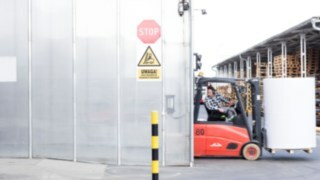 Two Linde service technicians are always on site at Novelis to ensure continuous vehicle availability in this demanding environment. There is even a separate workshop on the site where maintenance work is carried out. 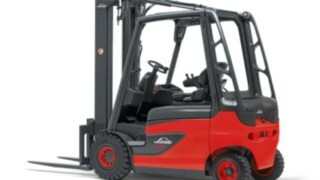 We appreciate the high reliability and performance of the Linde products, and the first-class service. 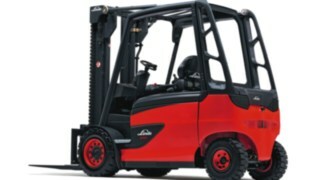 The drivers praise the high level of comfort and the ergonomic cabs in particular. 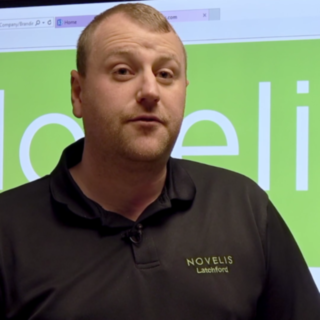 Currently, Novelis has a total fleet of 20 electric and combustion engine-powered trucks with load capacity of between 1.6 t and 16 t at the Warrington site. 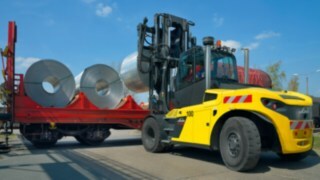 While the equipment with a lifting capacity of up to 8 t is mainly used for unloading the used drinks cans from lorries and for internal transport and storage processes, the forklifts with a higher load capacity transport the finished aluminium ingots. 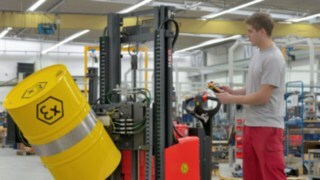 Why are the forklifts yellow rather than red? 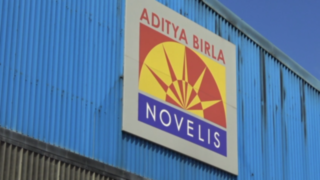 It’s quite simple really – yellow is the corporate colour of Novelis. 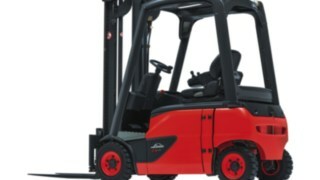 The decision to purchase more Linde forklifts, after the first ones were introduced, was an easy one for the management. 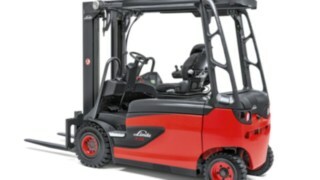 “We appreciate the high reliability and performance of the Linde products, and the first-class service. All our plants have had very good experiences with the trucks. 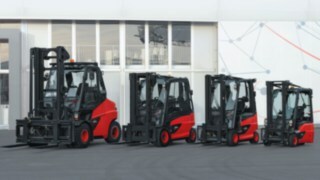 The drivers praised the high level of comfort and the ergonomic cabs in particular. Our fleet is being continually updated,” says McCoy.